Chia seeds are a light and nutritious food that can be prepared over night for a delicious light breakfast. 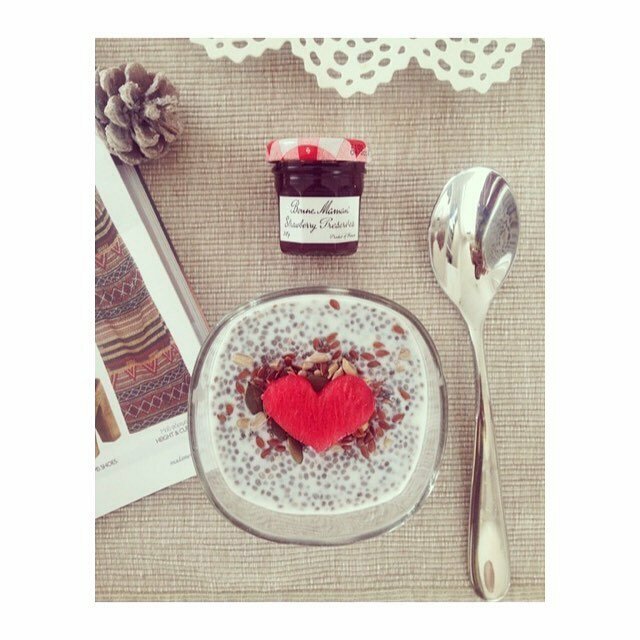 Top your chia pudding with fresh fruit such as watermelon and ensure you are getting your five a day in. 1 full cup chia seeds. 1. Mix the chia seeds with the water and soya milk. Leave covered in the fridge overnight. 2. In the morning, remove from the fridge and add toppings such as fruit, agave syrup or eat alone.